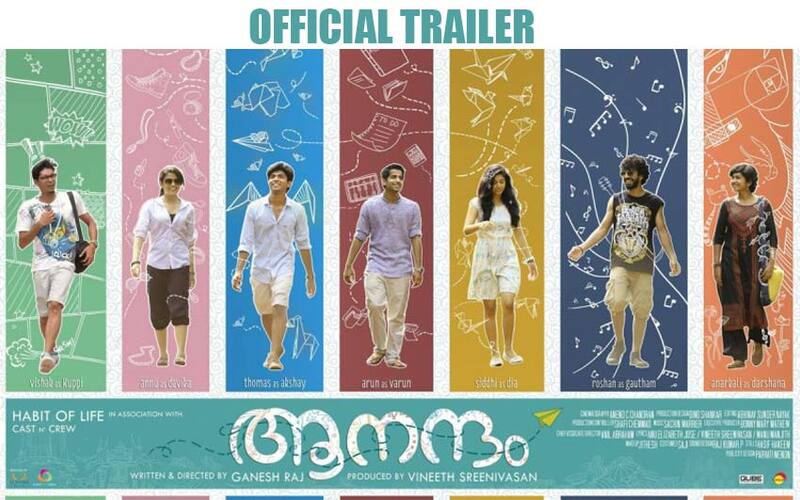 The upcoming Vineeth Sreenivasan’s Malayalam movie Aanandam trailer has been released Today on Sep. 9, 2016. The Ganesh Raj’s debutant directorial film has officially released on YouTube channel of LJ Films. The film joins in the category of romantic family entertainment. It comes under the style of adventure based movie. The trailer run time is 43-second and the movie has featured by the following lead roles. Vishak Nair as Kuppi, Anu Antony as Devika, Thomas Mathew as Akshay, Arun Kurian as Varun, Siddhi Mahajankatti as Dia, Roshan Mathew as Gautham and Anarkali Marikar as Darshana. It is the Story of friendship and love life of Young Engineering College Student. As per the Aanandam Official Trailer releases, the movie will hit the screen along with the story of College excursion. The movie has started its journey on May 5 and the firstlook got positive impact from the audience. Not with the director, the production department also introduced for the Malayalam film Industry. It is the debut film for the Vineeth Sreenivasan under his banner Habit of Life. The director of this film, Ganesh Raj is the former associate director of Vineeth Sreenivasan. Both of them joined together and presented this film to their People as soon along with magical music by Sachin Warrier. The distribution corner has taken by the Lal Jose (LJ Films Pvt Ltd). Anend C Chandran handled the DOP and Abhinav Sunder Nayak for editing. Watch it and share it with your College friends.